For such a large vehicle, the Honda Pilot delivers a remarkably comfortable and composed driving experience. On top of Honda's renowned reputation for reliability and strong resale value, the 2012 Pilot offers seating for eight and sufficient cargo room for their gear. 2012 Honda pilot: safety, reliability, and fun for the family! 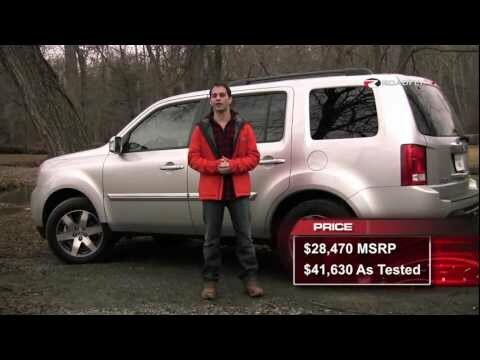 The 2012 Honda pilot is incredibly reliable, durable, and fun to drive. It feels solid yet comfortable on the road, and most importantly feels safe. We have a young baby, and I always feel confident driving her around in this vehicle. The height of the pilot adds to the air of safety too. Great features of this vehicle include fold down seats, third row seating to fit the whole family, ample storage compartments, air vents in front and back seat areas, numerous beverage holders, and conveniently placed gear shift. This Honda vehicle is extremely reliable, and performs well. The only small negative is the size of the gas tank. . . Rather large. But this is by far our favorite vehicle so far! I love the look of my pilot - the older body is unique and distinguishable. I love the feel of the car - it feels solid and safe and obviously has the Honda reliability. I love the older body style - you know it is a pilot. The newer ones look like every other car - not as unique. It seems like there is a call for distinguishable appearance. I like the leather and heated seats but wish the back could be heated separately- maybe an additional setting would have been good. It is comfortable and reliable. It could be better on the pick up a bit sluggish sometimes. Tire gauge light is sensitive which can be a bit annoying. This year could have used space on door for water bottle but I am sure newer version has that ( I will stick with my older one though! Durable and reliable but always check who you are purchasing from. The car is rather durable and reliable especially when there is bad weather (ICE rain storms and snow). Does not really require too much maintenance aside from the normal (fluid changes, brakes). There is plenty of room to seat people, sits 7 not including the driver. Plus the third row can be kept folded down to allow for more trunk room which there is plenty of. The main downside is I bought my car preowned and I have to do so much work to it within owning the car for roughly three years now. If it weren't for the extended warranty I had purchased on the car I would have had to spend more money than I had purchased for the car itself.